If you’re like me and using the holiday downtime to catch up on applications, here are a few artists’ opportunities I’d like to share. I had a great time when I did this residency in 2013. I recommended it; read my wrap-up. The stipend is still one of the best I know of, and I’m sure this program has expanded since then. I’d especially encourage printmakers and artists whose work deals with water, tides, or natural light to look into this residency. Four-to-eight-week residency in a private studio with access to a modest printshop, plus accommodations. They pay you $2,000–4,000 as a stipend to cover all expenses including travel (Eastport is remote—the easternmost point of the United States, actually). I had little prior paper-making experience, but I had a great time learning from Pulp & Deckle boss-lady Jenn Woodward, and making paper when I was a c3:resident in 2015. 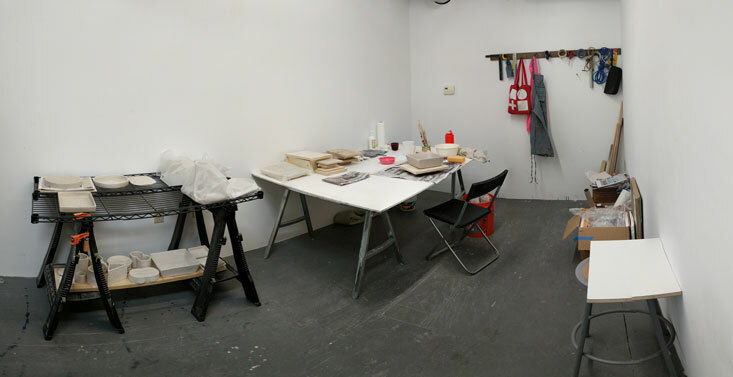 One-month paper-making residency, workshop, technical assistance, group exhibition. They pay you $250 stipend, but accommodations or travel are not included. I did a residency at Woodstock Byrdcliffe in 2011, back when its residency fee was only $300 (and before they let go of a really great, long-time residency manager; a position that is currently vacant, if you’re job-hunting). See photos. I think it’s cool that, this year, they are offering fellowships for artists affected by natural disasters, though the application fee seems steep to me. 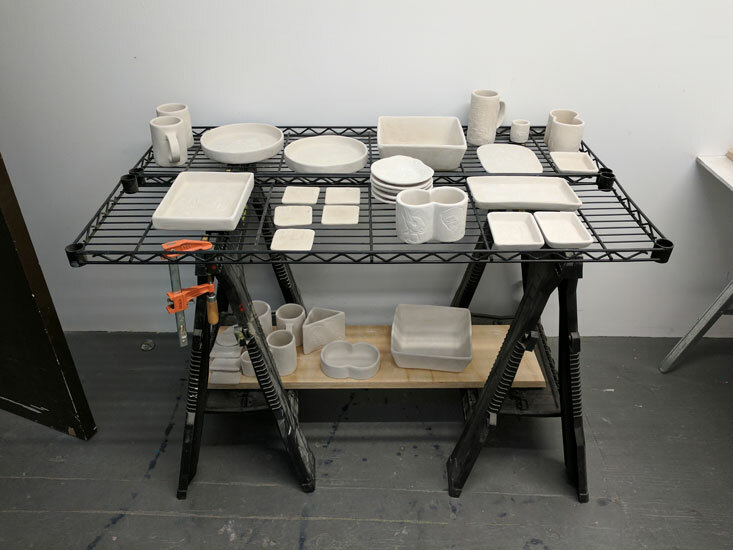 4-week residency: private studio or access to ceramics and weaving equipment, and accommodations. Residency fee: $700. Fellowships and subsidies are available to “artists affected by natural disaster, including but not limited to the California wildfires, hurricanes in Puerto Rico, Florida and Texas, and the earthquakes in Mexico” as well as women and people of color. Spread the word to NYC Teens aged 13–19 about this opportunity. Notes on a year(-and-a-half)-long residency. Printing linoleum cuts on the Vandercook letterpress. 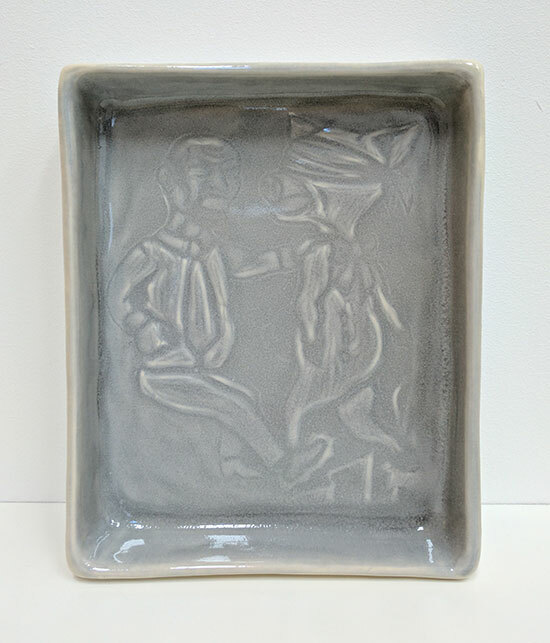 I was awarded the Center for Book Arts’ 2016 Workspace Artist-in-Residence Grant. 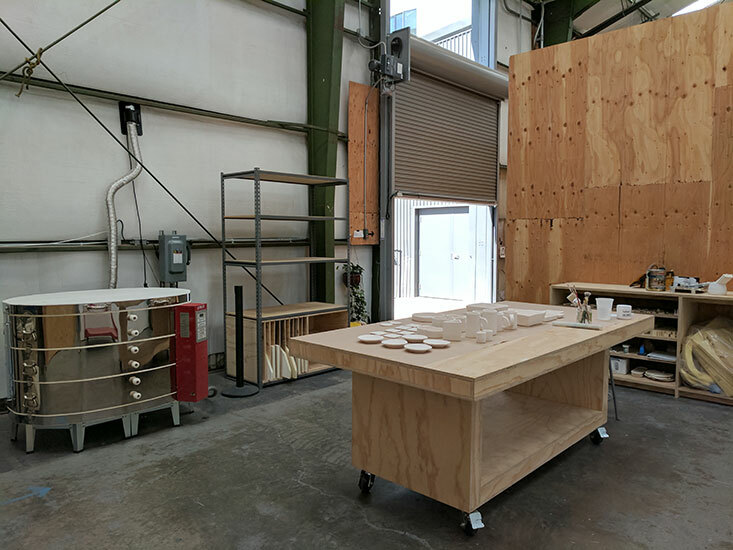 The program offers a materials stipend, 24-hour access to the Center for Book Arts’ letterpress print shop and bindery studios, a group exhibition, and the chance to take nearly unlimited classes in printing, book arts, and related workshops on paper marbling, making bone folders, etc. (Read my Residency Notes, Part 1, penned practically a year ago for more about the classes I took.) The Center also has an exhibition program and weekly events, so there are always book arts to view and new perspectives to be exposed to. The steps in binding a pad of Color | Cootie | Feeling | Catcher, a collaboration with Leah Rosenberg. Make a guide to evenly space the holes. Use a pin tool to punch holes (put a weight on the text block to hold it steady). Wax your thread. Start your thread so the tail goes out the side of the block (to hide the knot later). Sew down the length of the book, and back. Tighten each stitch. Tie a knot in the middle of the pad (to hide the knot, see?). Use a bone folder “beat the swell,” which is to smash down any additional thickness gained from binding. Steps in adding an endpaper-wrap: Use a triangle and bone folder to score a line in the endpaper. Fold along the score. Mark the depth of the pad on your end paper. Score and fold at the mark. Use pieces of newsprint as a mask to apply PVA only to one half of the end paper. Glue down to your text block and beat down with a bone folder. Smooth the edge with a bone folder too. Flip the book over and apply glue to the last segment of endpaper and smooth with a bone folder. Tada! The residency is from January to December, theoretically. In reality, it’s looser than that. As a live-out studio program for local artists, they don’t have to enforce strict end dates. In fact, they offer AIRs the chance to continue working in the studios until their exhibitions, which are typically scheduled in April of the following year, affording three ‘bonus’ months of studio access. (I returned my keys for incoming AIRs and thus was keyless those last three months. It worked out most—but not all—of the time.) 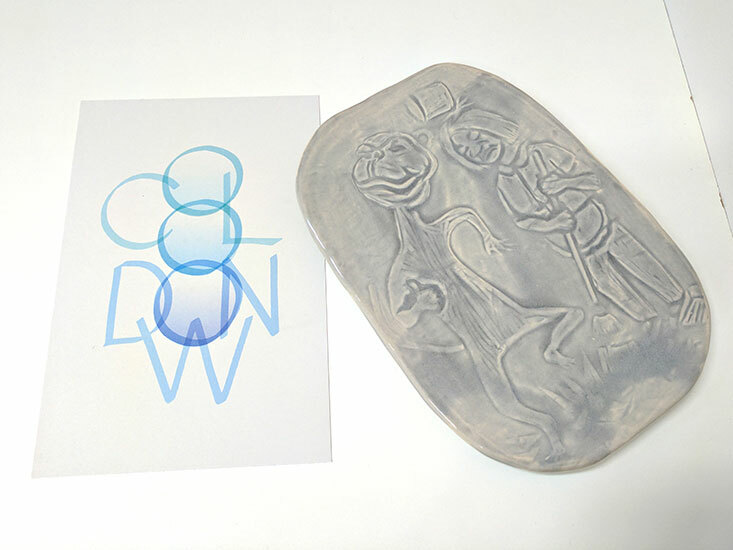 Additionally, AIRs are required to complete letterpress and binding classes before using the studio, and may be screened additionally before printing unsupervised, so matching schedules is advantageous. My residency started in January 2016. I had already made a three-month, out-of-state commitment last year, so I tried to make the most of the rest of the year. I expected to be more active in the fall, but my seasonal job sapped my time and energy, and I got sick often. Moving forward, I have a more realistic sense of what I can achieve in the fall. The Center underwent through renovations in December and January, through the spring. The space is modest, storage is limited, and programming can interfere with studio access. As mentioned in my prior post, flexibility and forbearance are helpful. I was able to dedicate more time in the lead-up to the exhibition, so the bonus months were critical to my growth. In Bookbinding II, I learned how to pare leather to make hardcover books with a decorative cord on the spine. There are usually 5 AIRs every year. Every year’s cohort of artists is different. Some years’ AIRs are very tight, and other years’ are less present and supportive. If you’re thinking of applying, here are some tips (I was on the selection panel for the 2017 program): You don’t have to be experienced in book arts or printing. You should have a well-developed, thoughtful body of work. You should be prepared to make the most of the opportunity. And you should contribute to the Center with your presence and practice. There are also three Scholars—who have more bookbinding experience and propose specific book projects—who start their residencies in the fall. In addition, there is a community of renters—often artists and bookbinders who produce their own work or work for clients there. The Center also regularly books Stewards to provide technical advice during certain nights of the week (ask regularly, and double-check). I was very grateful to be able to turn to the Scholars, renters and Stewards for help. They answered questions and provided technical advice and feedback. I couldn’t have made my final project without their help! I also learned from them by osmosis, observing different styles of working, and expanded scopes of what I thought possible in book arts. The Center for Book Arts is a small non-profit. The staff work hard, pull long hours, and do unglamorous tasks to keep the place running. Renters, teachers, and supporters supplement by pitching in or bearing with inconveniences. 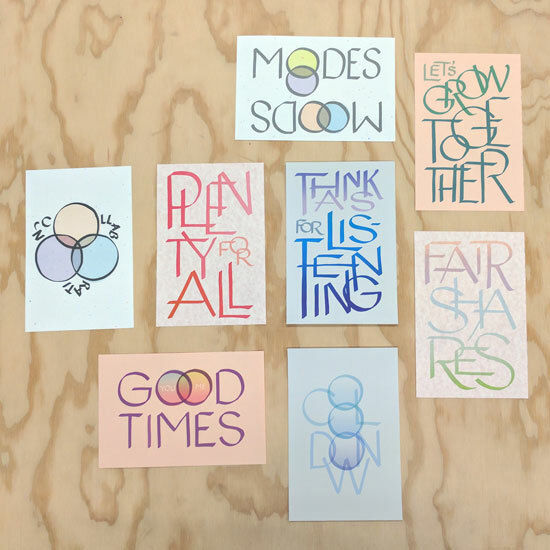 I’ve been thinking about how print shops are communal spaces that foster interdependence. I have had opportunities to reflect on the ups and downs, and the boundaries that make for healthy relationships. Printing a “pressure plate” of cut paper, and wood type. I also really appreciate the way that the residency and access to the Center enhances my skills and capacities. One of my most memorable moments was responding to an evolving situation quickly by printing a poster, and being able to distribute it while still printing to appreciative people. I’ve adapted to having access to printing; my foray into Riso printing while the Center was being renovated was an expensive reminder of printing otherwise. Of course, I wouldn’t have been able to create my final project without this residency. I greatly increased my book arts skills. Though I’d done relief printing in undergrad, I hadn’t ever gotten very comfortable with letterpresses. By the end of the residency, I’d gotten more fluent at solving problems, and working with, not against, the nature of lead type. My final project is Working Together: a mix-and-match book of nice and not-so-nice modes of collaboration. It’s inspired partly by investigating collaboration as a subject and a practice over the past two years, and partly by politicians’ disregard for others over the past several months. While mix-and-match books—as well as teaching cooperation—might be associated with childhood, I have come to think that collaboration is not a skill once mastered, but a lifelong series of choices. I’m very grateful to the Center for Book Arts for this opportunity, and by extension to the NEA, NYS Council on the Arts, NYC Department of Cultural Affairs, and NY City Council for supporting the Center for Book Arts. I feel like I’ve worked my way into the rhythms or the fabric of the Center. It’s nice to feel a sense of kinship with the other shop users, and to feel that I have a place I can go to, belong, and do my work. The Center welcomes AIRs to stay on with affordable studio rental rates, an option I’ll likely explore in the future. 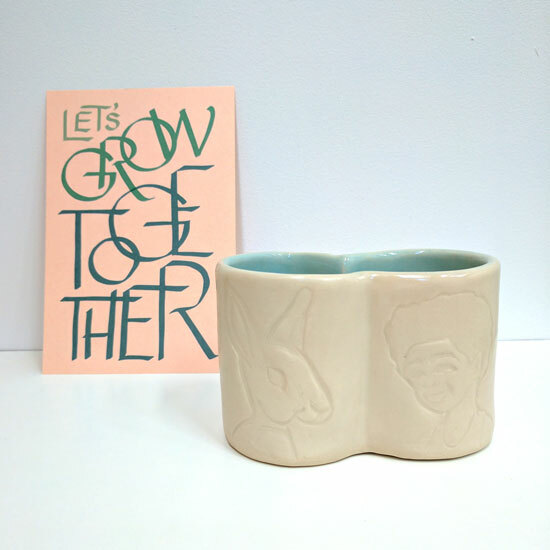 Working Together is on view, in the Workspace Artists-in-Residence exhibition, through June 30. Art OMI’s 2014 residency program received over 800 applications for 30 accepted residents. Participants comprise about 1:26, or 3.75% of applicants.